In our next installment of “Photo of the Week” we will be looking at looking at the work of Dr Dinusha Mendis, who has been looking at 3D printing and what its implications are on intellectual property. 3D printing has the potential to revolutionise our lives and has had an impact on a number of industries. 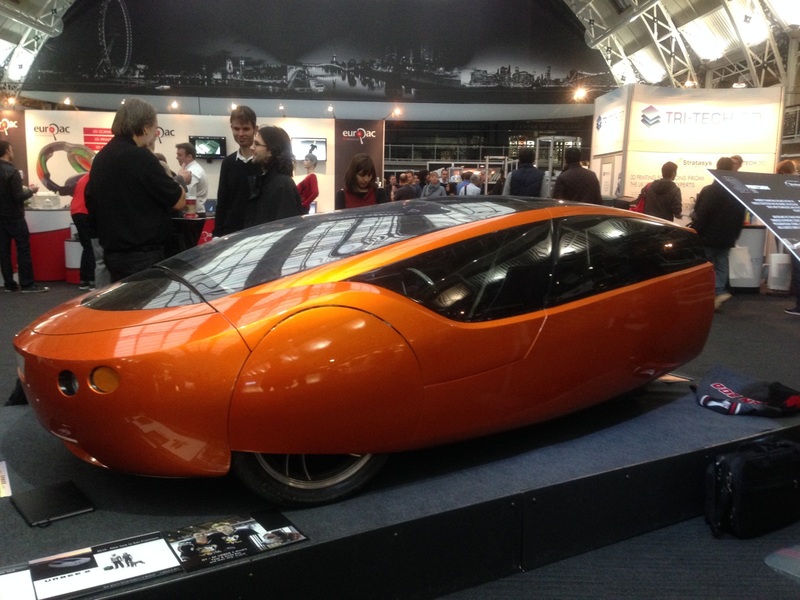 The various parts of the car, as seen in the photograph, were all 3D printed and assembled to create the ‘ultimate 3D printed car’. Importantly, it shows the potential of 3D printers. However, at the same time, this technology coupled with 3D scanners, allows for replication of physical objects – which in turn raises questions relating to intellectual property (IP) laws. For example, what would be the implications of modifying someone else’s Computer Aided Design (CAD) file or scanning the existing object to create a new design file? How much ‘modification’ is needed to create a new and non-infringing product? IP issues could arise when replacement parts are produced. These questions demonstrate that the technology has significant potential for the future and raises important questions relating to IP law. Dinusha’s research explores the IP implications of this emerging technology while also considering new business models for the protection and exploitation of IP. Her recent research has included carrying out a Commissioned Project for the UK Government (UK Intellectual Property Office) on these issues. For more information her research, email Dinusha for further details. This was an entry to BU’s first research photography competition in 2015, you can also view the entries to the most recent competition here.